We're happy to bring you and your kids a wide variety of free printables! 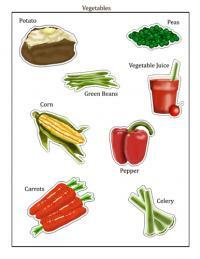 This index of printables includes only free and safe downloadable, printable files provided by LoveToKnow. If you need help downloading any of these printables, check out these helpful tips. Sometimes worksheets and printable activities can help build basic skills, or just provide some educational fun. Let your kids build their own sandwiches with our printable fixings, reinforce their shapes with a fun bingo game or learn how to weave a placemat. 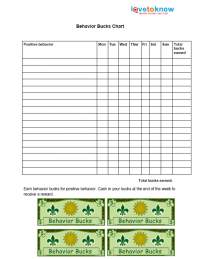 Sometimes the best way to help your children work on behavior improvements is to track successes on a printable behavior chart. Charts are also a useful way to assign chores and track whether your kids have done them. We offer an assortment of free, printable charts for a variety of tracking purposes; use one with suggested chores or benchmarks or customize one in whatever way you like. In the early grade school years, handwriting can be a challenge. 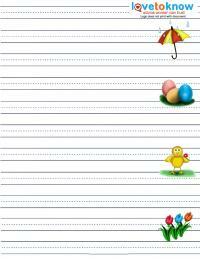 Help your budding writer practice penmanship with these fun handwriting practice sheets you can print right at home! They are available in a variety of designs and line widths. Keeping track of homework assignments can be a difficult task. 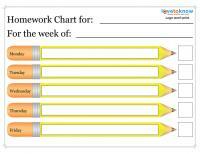 Make things easier for your child with these fun homework charts to record homework that is due and when it was completed. A checklist for personal hygiene can help reinforce good behaviors. If getting clean is a challenge for kids in your household, try these helpful guides. Visuals can help children understand how to write a paragraph or create an outline. Use these idea webs and paragraph format printables to reinforce great writing skills. Whether you are encouraging a budding scientist with fun projects, supplementing a school science curriculum or working on a project for a science fair, these printable PDFs will help you get started. There are sheets appropriate for a variety of ages and experiment types. When you are putting together a treasure or scavenger hunt for a party, get a jump start with these readymade, printable clues.